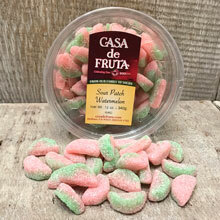 Sweet and sour watermelon flavored and shaped gummi candies. Packaged in a 10 oz. tub.